Carl Gustav Jung merged Eastern mysticism with Western psychology, brought scientific respectability to religion, laid the foundation for �the New Age,� and is second only to Freud in influence and importance in the world of psychoanalysis. Many consider him a genius, but many others disagree. 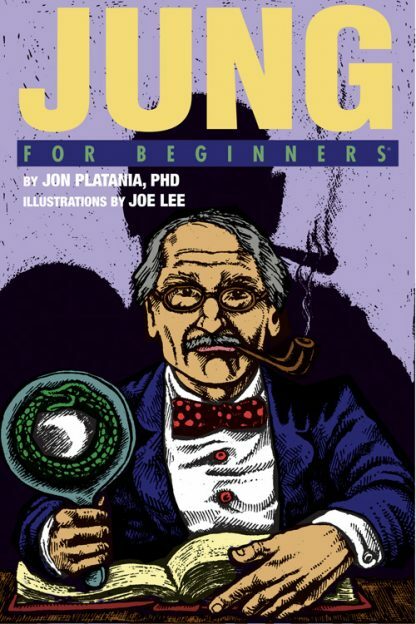 Scholar and clinical psychologist Jon Platania, PhD, presents Jung as a somewhat opportunistic and dissociated character whose most famous historical events were his break with Freud and his questionable sojourn with the psychological elite of the German Third Reich. On the other side of Jung's complex genius, there is a deeply spiritual man who laid the groundwork for a more optimistic approach to our modern understanding of the human psyche in both theology and psychology. He is remembered by many as the "Swiss Doctor of the Soul". Dr. Platania then takes us on a tour of the work that made Jung one of the pillars of modern psychology. And what a body of work it is. Jung�s open-mindedness was astonishing. Wherever he went�Calcutta, Egypt, Palestine, Kenya�Jung learned something that expanded his views. His open-ended psychology incorporated Yoga, meditation, prayer, alchemy, mythology, astrology, numerology, the I Ching�even flying saucers! He taught us that psychology and religion can not only coexist peacefully together, but that they can enhance us, inspire us, and help us complete ourselves. Freud, for all of his brilliance, reduced us to little more than vessels of hormones with high IQs. Jung, for all of his flaws, gave us back our souls. Jon Platania PhD is a psychologist, yogi, author, and teacher. A graduate of the Wright Institute, he received his academic training through the California State University system, completing a post-doctoral internship at the University of California in Berkeley where he currently resides. He is a trained Integrative Analytic Psychologist. More recently he has again collaborated with Joe Lee in the book 12 Step Restorative Yoga.